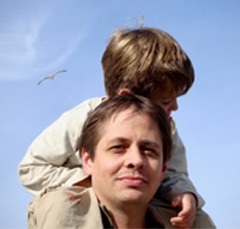 Please welcome Jack Heckel to The Qwillery. 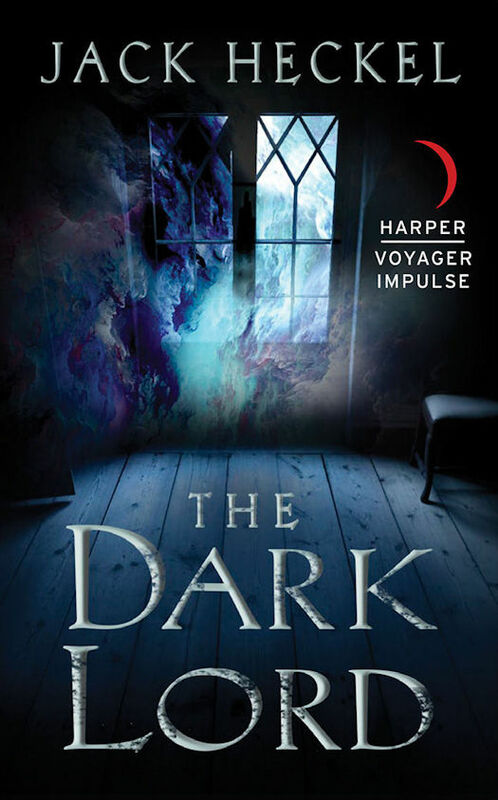 The Darkest Lord, the 3rd novel, in the fabulous Mysterium Chronicles, was published in digital format on February 26th by Harper Voyager Impulse and on April 2nd in Mass Market Paperback. TQ: Welcome again to The Qwillery. 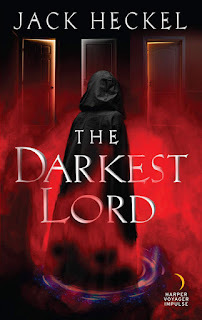 The eBook of the third and final novel in The Mysterium Chronicles, The Darkest Lord, was published on February 26th. First (and not most important) where is my T-shirt? Seriously, what are your feelings on completing the Trilogy? Actually, we’d love to send you both, since you were the inspiration for them. As for your secondary question, the overall feelings we have at finishing the trilogy is giddy relief marked by bouts of exuberant joy. This probably explains why the first thing we did is to make t-shirts and sweatshirts. We wanted to be able to celebrate with our readers (in a tangible way) the end of Avery’s story. And, for readers of your blog, we want to extend an offer that if they graduate from Mysterium University (by reading and reviewing each of the three novels) they can get one of those snazzy sweatshirts or t-shirts (reader’s choice) sent to them by Jack himself. TQ: Please explain to our readers how your collaboration works. Are you plotters, pantsers or hybrids? JH: Definitely a hybrid. Having two authors means some planning is essential, otherwise we would have the impossible task of sorting through multiple versions of text every step of the way. Having said that, we find that our carefully crafted outlines typically survive three chapters before breaking down under the strain of our collaboration. What happens, and we see this as a boon rather than a problem, is that we get stuck on some section of text, and then get on the phone together and suddenly the story takes about a dozen twists and turns. Figuring out how to take those creative moments and weave them into the story and the story around them is a challenge, but ultimately the best part of working together. TQ: Describe The Mysterium Chronicles using only 5 words. JH: Pratchett sends Potter to graduate school. Hmm… that was six. Can we have a bonus word? TQ: In The Mysterium Chronicles, was there a character who surprised you? Which character was the most difficult to write? JH: Sam surprised us the most. He was originally going to be a bit of a joke character. The silly, downtrodden and bemused sidekick. However, as the story progressed we discovered that the sidekick character is often the most human. As the novels have gone along his role has increased, and, not to give anything away, that culminates in The Darkest Lord. The most difficult character was Avery. Hands down. We went into these stories wanting to poke very gentle fun at the often black and white nature of epic fantasy novels. To do that we knew we would need a character that lived in the many hues of gray between good and evil. Even though we love the guy, striking that balance in Avery was a never-ending source of writing stress. 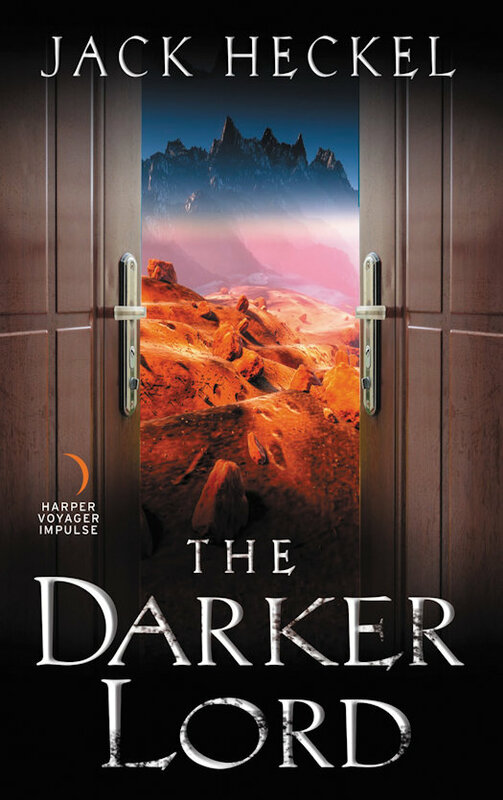 TQ: The Darker Lord (Book 2) took place 4 months after Avery returned to Mysterium. How soon after The Darker Lord does The Darkest Lord take place? And does time really matter where wizards are concerned? JH: About another six months to a year after The Darker Lord. We really wanted to pace these novels so they occurred in quick succession, but where enough time would have passed that some consequences from the previous books would have had time to accumulate. As for whether time has meaning, we will only say that given the situation Avery finds himself in at the opening of The Darkest Lord every day counts! 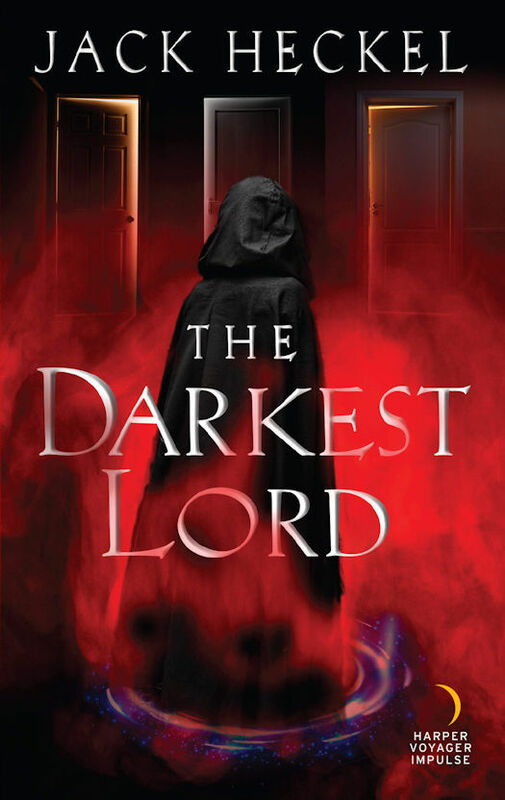 TQ: Which question about The Darkest Lord do you wish someone would ask? Ask it and answer it! JH: We think the question we would love someone to ask is: “Does Avery actually live?” However, we only like this question because then we could raise an eyebrow, and answer, “Do any of us actually live?” Or something equally enigmatic and infuriating. TQ: Give us one or two of your favorite non-spoilery quotes from The Darkest Lord. My name is Avery, and I wish I weren’t the Dark Lord. It was a fervent wish. One that I repeated daily, but with no effect, because I was the Dark Lord, and the fact that I was—alongside a number of other regrettable life choices—probably explains why I was lying in a coffin listening to a voice, dry as death, calmly reciting my latest crimes against the multiverse. TQ: What was (each of) your soundtrack for The Darkest Lord? John: I found an all Beatles channel and that was it. John, Paul, George and Ringo were my constant companions during this novel. Harry: I listened to a mix of classic rock and Doctor Who theme music. TQ: Total number of Easter Eggs in all 3 novels? 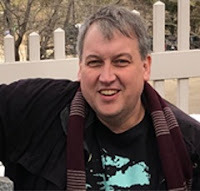 TQ: Is there any chance that you may visit Mysterium and the subworlds again? Perhaps Eldrin's Trelari RPG wargame or Moregoth's Guide to Dress? JH Definitely. Of course, there are a lot of side stories we would love to explore, like Moregoth’s origin story, or a narrative written from Eldrin’s point of view. Beyond that, we’ve been thinking about a joke book from the demi-lich Gray, or Harold’s Guide to the Care and Feeding of Mages? But our favorite concept is a daily calendar of inspirational quotes from Moregoth: “Today remember to embrace life… wrap your fingers around its throat and choke it to death.” Honestly, an RPG supplement or a Trelari wargame isn’t out of the question. TQ: What are you working on next? (collectively or individually). JH Collectively we are going to return to Prince Charming. We have been wanting to write a third Charming Tales novel for some time. Individually, John is working on a novel based on the fairytale, The Seven Ravens, and Harry is revising a series of superhero novels, along with a fantasy project or two. Look for further details on all future projects on www.jackheckel.com. Jack Heckel’s life is an open book. Actually, it’s the book you are in all hope holding right now (and if you are not holding it, he would like to tell you it can be purchased from any of your finest purveyors of the written word). Beyond that, Jack aspires to be either a witty, urbane world traveler who lives on his vintage yacht, The Clever Double Entendre, or a geographically illiterate professor of literature who spends his nonwriting time restoring an eighteenth-century lighthouse off a remote part of the Vermont coastline. Whatever you want to believe of him, he is without doubt the author of The Dark Lord. More than anything, Jack lives for his readers. Despite whatever Jack may claim, in reality, Jack Heckel is the pen name for John Peck and Harry Heckel.